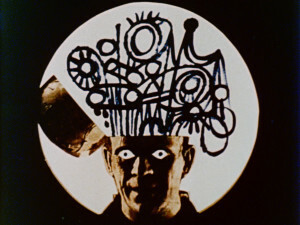 Stan VanDerBeek was a towering figure of the 20th century avant-garde, pioneering live-action and collage animation techniques, proto-expanded cinema installations, and computer processes in a utopian quest to combine art and technology. Gorgeous new 2K restorations of Euclidean Illusions, the Poemfield series, and Science Friction are now available for exhibition. “A social satire aimed at the rockets, scientists, and competitive mania of our time.” S.V. 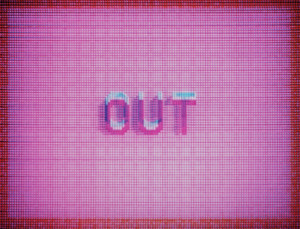 COMPUTER ART SERIES is animated computer/graphic films. The series is called POEMFIELD. 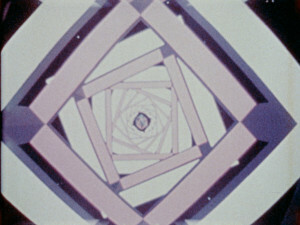 All of these films explore variations of poems, computer graphics, and in some cases combine live action images and animation collage; all are geometric and fast moving and in color. There are eight films in the computer animated art series. 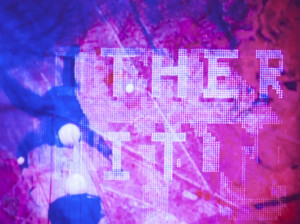 As samples of the art of the future all the films explore variations of abstract geometric forms and words. In effect these works could be compared to the illuminated manuscripts of an earlier age. 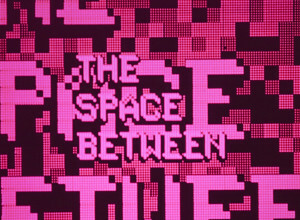 Now typography and design are created at speeds of 100,000 decisions per second, set in motion a step away from “mental movies.” POEMFIELD No. 2 and 5 are all colorized by Brown and Olvey. 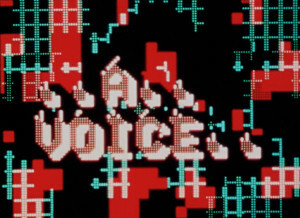 “Calligraphic computer animation of the enigmatic poem ‘There is no way to peace- Peace is the way.’ Black and white animation is colored by Brown/ Olvey. This film with soundtrack by John Cage is a lyric accidental stylization of christian myth/crosses. The patterns are written by random programs on a computer with help by Ken Knowlton.” S.V. 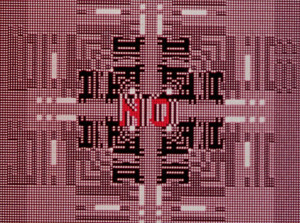 A fantasy film of illusive geometry, changing and rebuilding itself by computer animation, unique visual magic done while artist-in-residence at NASA in Houston in conjunction with Richard Weinberg.